MINDEN, Nev. — The Douglas girls soccer team ran its record to 5-0 with a comeback win over McQueen in Minden Tuesday afternoon. McQueen broke a scoreless tie in the 60th minute, converting a penalty kick. Douglas tied the game in the 78th minute and added the game-winner a minute later in injury time. 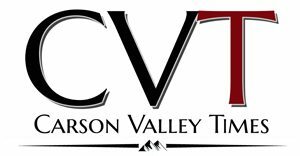 CVT contributing photographer Ron Harpin was at the game and sent in the photos below. You can view or purchase his work at www.rahphotosnv.com. The Douglas volleyball team opened its season with a three-game sweep of McQueen in Minden Tuesday evening. Talyn Jackson had 10 kills, Hailey Hughes added seven kills, Hannah Kyle had five kills and Alex Robinson had four kills in the win. Sierra Franklin and Isabella Tomassi each had two kills. Jackson and Robinson each had two aces, Hughes had six blocks, Erika Leitenbauer had 11 digs, Madison Rozier had 15 assists and Robyne Foster had nine assists. Aspen Smokey shot a 97 at the season-opener for Douglas. Ashley Long show a 127. Long started her first-even match with a bogey 5. Douglas plays next Wednesday at Manogue’s home course, Arrowcreek. The Douglas boys tennis team defeated North Valleys at North Valleys 12-6 on August 28 for their first victory of the year. Zach Unger was 3-0 at No. 1 singles, including a tough 7-5 victory in the third round that put the team over the 10 point level needed for a win. Range Chapman and Austin Clutts at No. 1 doubles won both their sets 6-0, and No. 2 Doubles of Bryce Unger and James Jenks won both their sets as well. Chase Jackson won two sets in singles. He played in the most competitive set of the match against North Valleys’ No. 1 and lost 6-7 and 6-8 in the tiebreaker. “It was like a master’s degree in singles for a player new to the sport and Chase went back on the court immediately after and defeated his next opponent 6-0,” Douglas coach Roger Rusmisel said. Chris Pomeroy and Tyler Hearn are both new players who are learning the game in competitive matches this year. They opened against North Valleys No. 2 doubles team and began with a game that lasted 20 minutes with countless deuce scores. They fell behind in the match 1-5 and then battled back to end the set at 4-6 in a very impressive performance. The Douglas High girls tennis team its match against North Valleys Tuesday 14-4. Nikki Alexander was 3-0, Maureen Brennan and Jessica Ochoa were 3-0, Shelby Casaus and Kelsey Carlson were 2-0, Kari Coziahr went 2-0, Amanda Shaffer and Haley Doughty were 2-0, Amanda Shaffer and Reagan Merriam won their match, Sandra Cubillo and Lori Ramm won their match, Lauren Wilsey improved throughout the day and Alexa Meza lost the first match of her career, but won 2 games in the effort. Douglas defeated McQueen 25-20, 25-19. Savannah Rassmussen, Meika Cole and Rachael Hollar each had three kills. Jolene Votel had two aces and Amanda Hone had nine assists. Douglas defeated McQueen 25-14, 25-17. Sophia Maricich had six kills, Sage Hubkey had four kills and Meadow Shull and Alissa Jenkins each had three aces.